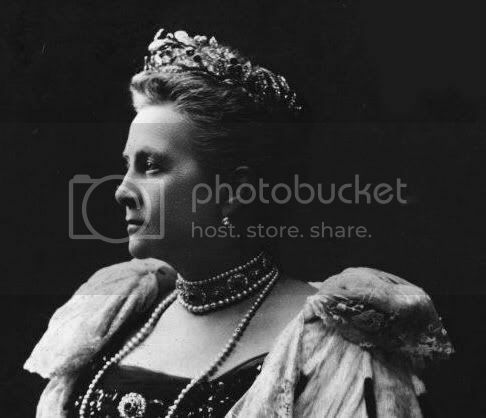 Here is Queen Olga of Greece wearing a diamond crown, topped with pearls ! Her she is again wwearing the same tiara .. 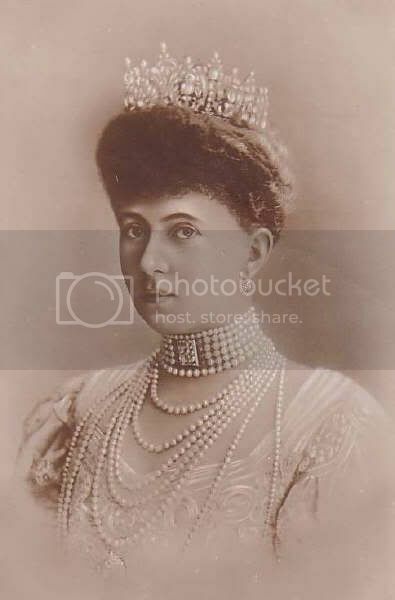 The first owner of this tiara was Queen Olga. 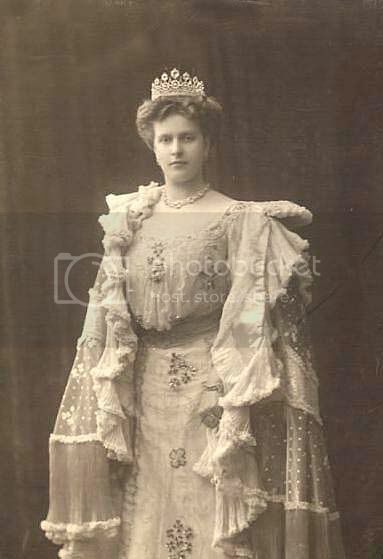 After her death it went to her son, prince Nicholas and later to his daughter, princess Olga, the wife of the prince-regent Paul of Yugoslavia. 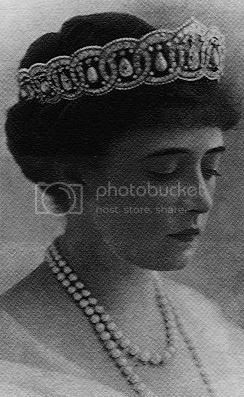 Princess Olga's sister, Princess Marina of Kent borrowed this tiara for the coronation of HM Queen Elizabeth II of Great-Britain. 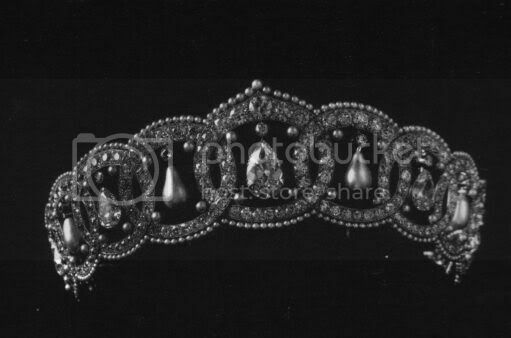 Princess Olga and Prince Paul sold this tiara back to King Paul of Greece, who bought it for his wife Queen Frederika. The shape of the tiara has changed a lot over the years . 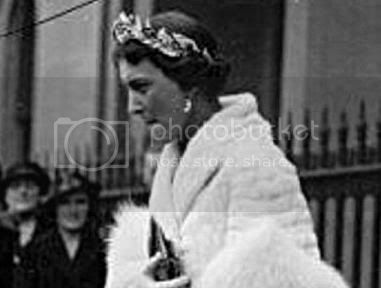 And here Princess Marina of Kent wear's it .. 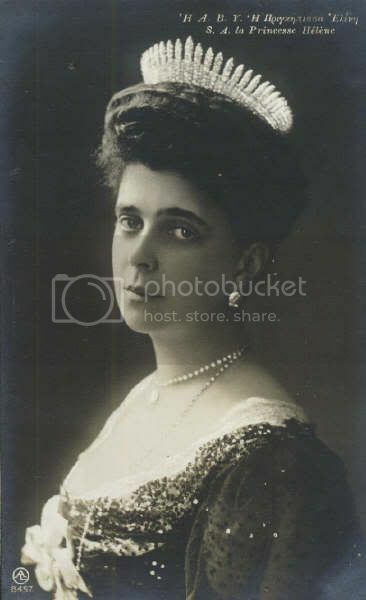 Here is Princess Anastasia of Greece, she married Prince Christopher of Greece (George and Olga's youngest child) before she married Christopher, she a American commoner and called Nancy Stewart, previously married to William Leeds, was granted the title of Princess Anastasia of Greece and Denmark. Here is Queen Frederika wearing the same tiara. She sold the tiara after the fall of the monarchy. Currente whereabouts unknown. In 1919 HM King Alexander I married a young Greek commoner, Aspasia Manos, a marriage that was considered controversial by the Royal Family, the Church AND the Greek people. Only after Alexanders death (1920), she was granted the style and title HRH Princess of Greece in 1922. 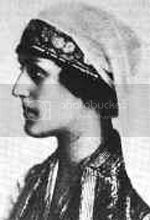 In this picture Princess Aspasia is not wearing a tiara but a headpiece to hold the veil of her (Greek) costume in place. Princess Aspasia and King Alexander are the parents of Princess Alexandra of Greece, who married the exiled King Petar of Yugoslavia. Exact provenance and current whereabouts unknown. All those emeralds were originally Olga's. Brian has posted some great pictures of Olga's jewels in another thread, I think. The emeralds have been remodelled a couple of times since Olga wore them; I think that originally they were given to her by her parents at the time of her marriage. These stones are truly Romanov in their size and splendour. 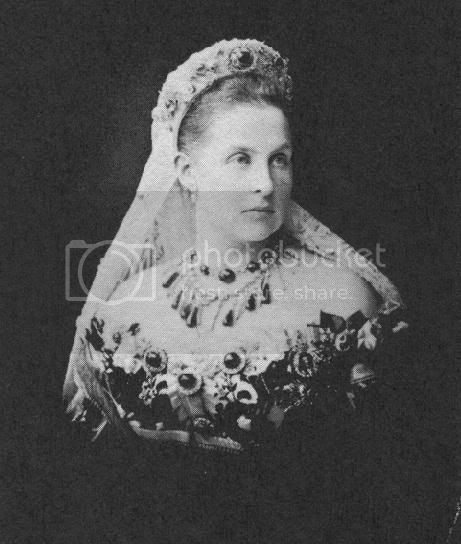 If you look at the photo of Anne-Marie you can see the interlocking 'E's that Elizabeth had added to the tiara. I have a photo back at home that shows Queen Frederika wearing Sophie's tiara at her 25th wedding anniversary. 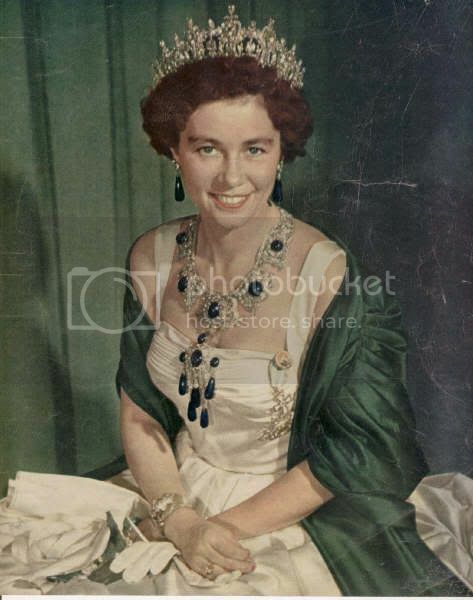 Sophie apparently inherited some of Q. Olga's jewels (before Olga died) when Olga gave them to Tino (Sophie's husband) for their silver wedding anniversary but there are no records that indicate how Sophie set them (they were loose emeralds). Sophie passed them to George II to give to Elizabeth who remounted them. Queen Anne-Marie also has been seen in a fabulous ruby tiara and parure (probably the one in an above photo). Apparently George I gave Olga rubies ever year for her birthday and by the time of his death (after almost 50 years of marriage) she had quite the collection! She left it to Nicholas but when Helen died she elected to leave it to Frederika rather than her own daughters. Perhaps she wanted to establish a Crown collection ala the British one. The rubies and emeralds can still be seen on Anne-Marie as Constantine II had maintained possession even in exile (unlike so many royal jewels). 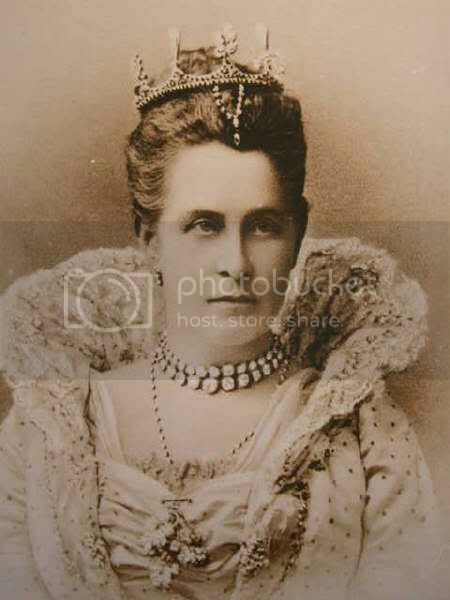 I posted some photos as well in the Olga Konstantinova thread--one of them tracing the history of that particular tiara of Elizabeth's. 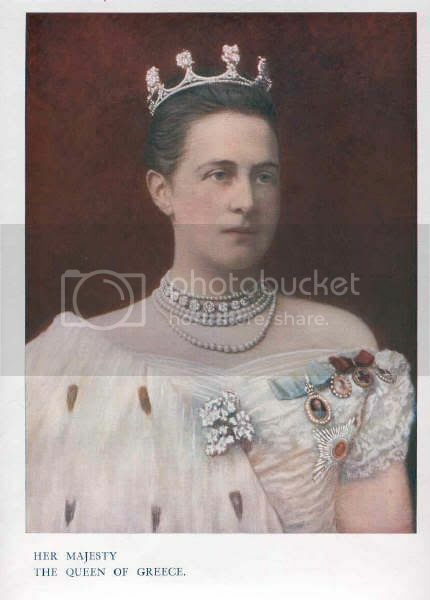 Marie Bonaparte brought some lovely jewels in when she married George of Greece but most have been sold by her children Peter (who inherited the more modern pieces) and Eugenie (the more classic ones including the tiara MB is often shown in--there may be a photo of her wearing it in the thread on Waldemar and George). The apparently fetched a pretty good price. Prince Christopher of Greece wrote of Olga's unset emeralds that she had a fabulous collection with some the size of a pigeon egg. One she lent him for a fancy dress ball with strict admonitions to protect it. Of course it fell off and to the horror of those around, rolled on the floor. Luckily it was undamaged. Some jewels made circuitous routes. 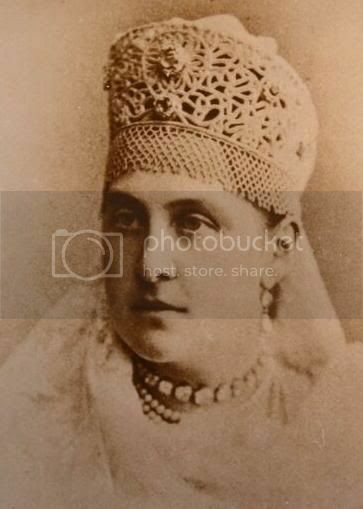 Sapphire jewelry had been left by Queen Marie (which may have been Romanov in origin--perhaps Miechen or Ducky's since Q Marie bought sapphire jewels from both) to Ileana. She sold it and it was eventually bought by a Greek millionaire who gave it to Frederika. She had this huge sapphire mounted on a pendant which later became centerpiece of a pearl and diamond necklace which QF would occasionally wear as a diadem. 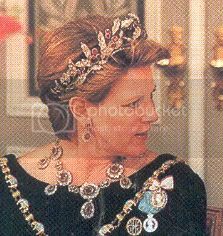 Queen Anne-Marie also has been seen in a fabulous ruby tiara and parure (probably the one in an above photo). That ruby parure used to belong to Oueen Ingrid. 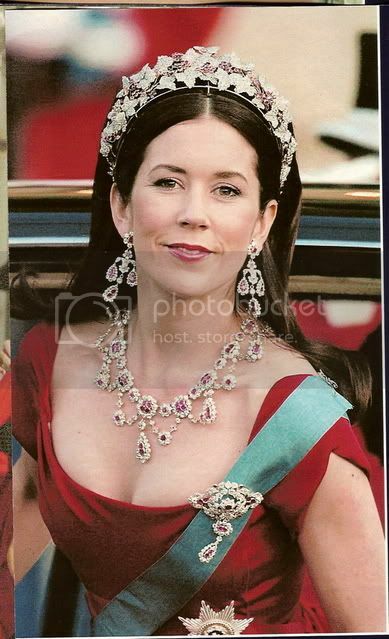 Crown Princess Mary now has it. 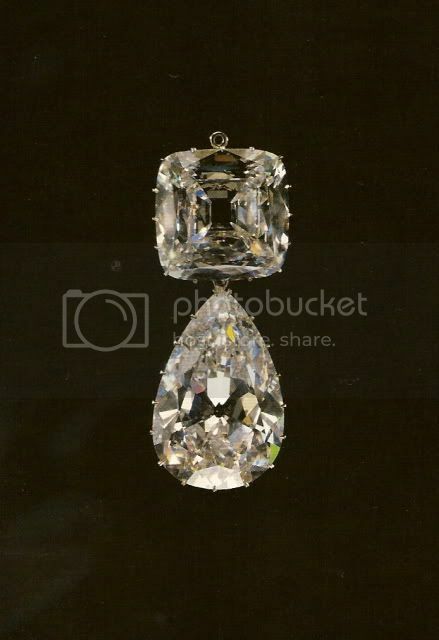 GDElla, the huge sapphire that you refer to , that had been left by Missy to Ileana - is this the same huge sapphire that had been the pendant drop to the wonderful Cartier chain of diamonds? I think that this sapphire had belonged to Ferdinand of Bulgaria; Marie had purchased it from Cartier to replace the jewels that went missing in Russia during the Revolution. Were you at Mary and Frederik's wedding? Lucky thing. The Danish ruby parure is one of my favourites. I agree. the Danish ruby parure is simply lovely. It had not been worn since the death of Queen Ingrid and I think has been allotted to Pcss Mary to have the use of. I have some information somewhere about this parure, which originally had belonged to Desiree Clary Bernadotte, Queen of Sweden. I will try to dig it out. Queen Anne Marie's rubies are a different parure, aren't they? I will try to dig out some info about this parure.